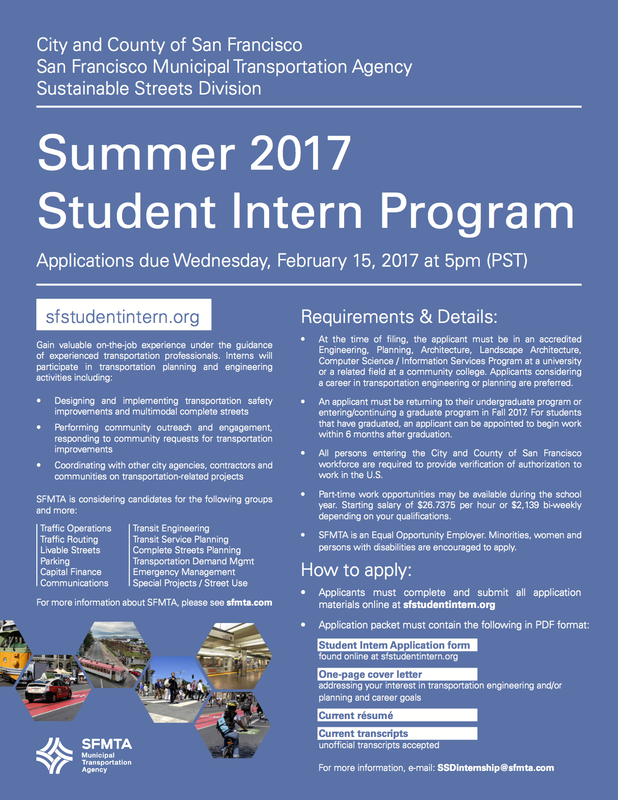 The Engineering Career Fair will be held at the California Science Center on Friday, April 28th from 10:30 am - 2:30pm. Early bird tickets are $15 and General tickets are $25. This is a great opportunity for Engineering student that just graduated or students seeking for internships.Make sure to bring your Eventbrite Ticket, dress professionally and resumes to hand out to recruiters! 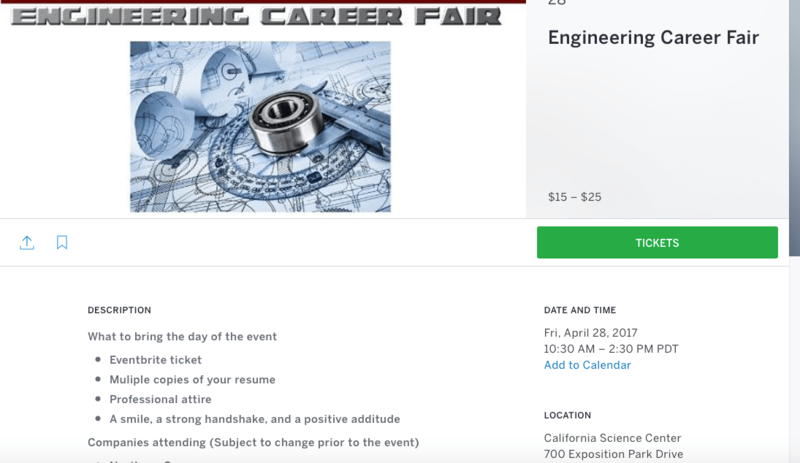 Purchase tickets for Engineering Career Fair. 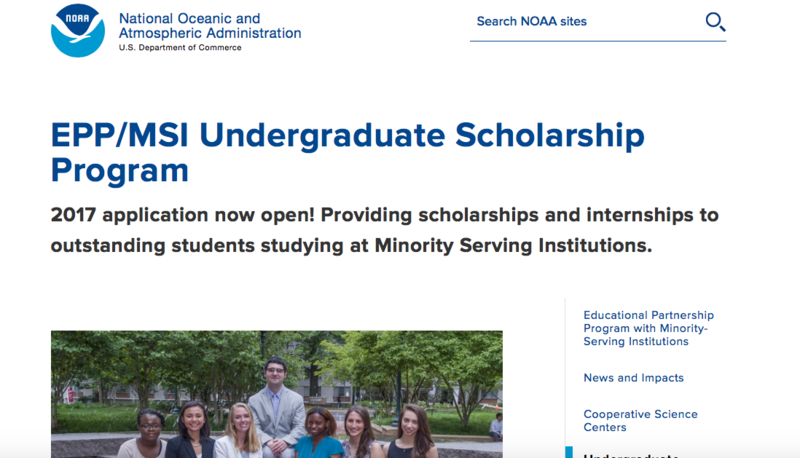 · Majoring in NOAA mission disciplines, including but not limited to: atmospheric science, biology, cartography, chemistry, computer science, education, engineering, environmental science, geodesy, geography, marine science, mathematics, meteorology, oceanography, physical science, photogrammetry, physics, etc. Come and join the largest Technlogy Job Fair at the Reef on Thursday, January 26th from 11:00 am - 8:00pm. 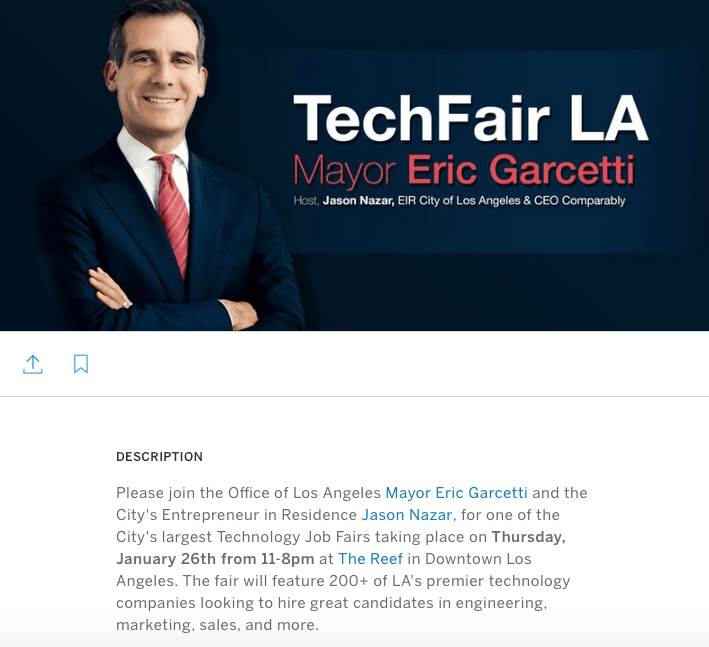 To RSVP to the TechFair LA . In a 90 second video, demonstrate one technology used in NASCAR, an issue it resolved, and how STEM professionals came to its design. Be creative as you like with tools or materials to illustrate and explain the design. 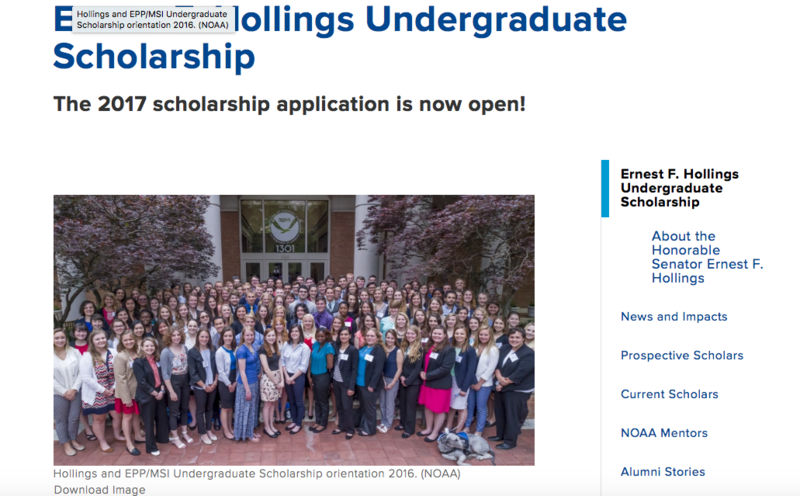 Click here to be transfered to the Enter to win a College Scholarship website. 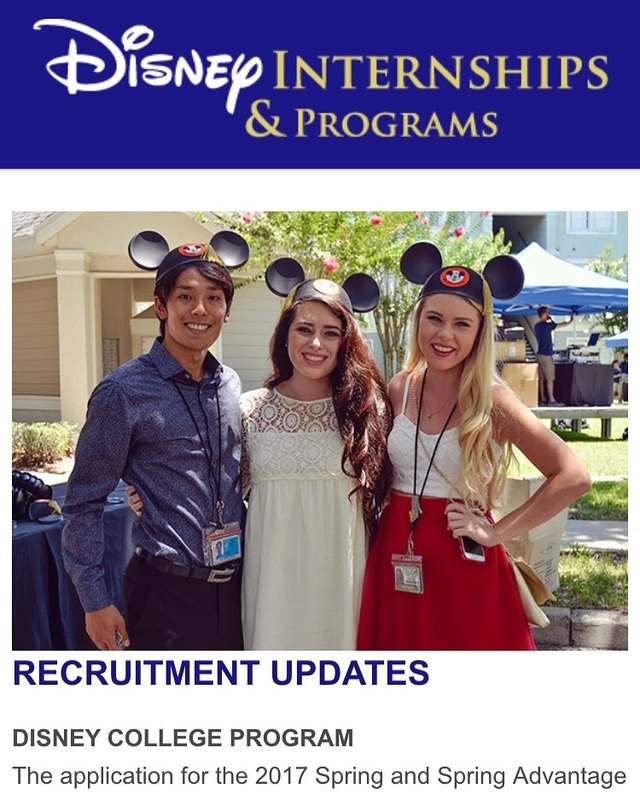 Students who are candidates will receive an updated of their status on their applications on November 18, 2016. 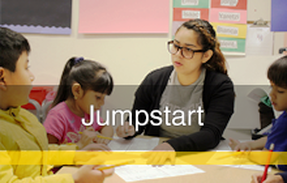 JUMPSTART is looking for volunteers to engage in a yearlong AmeriCorps program working with 3-5 year old children, teachers, parents and the larger East LA community. 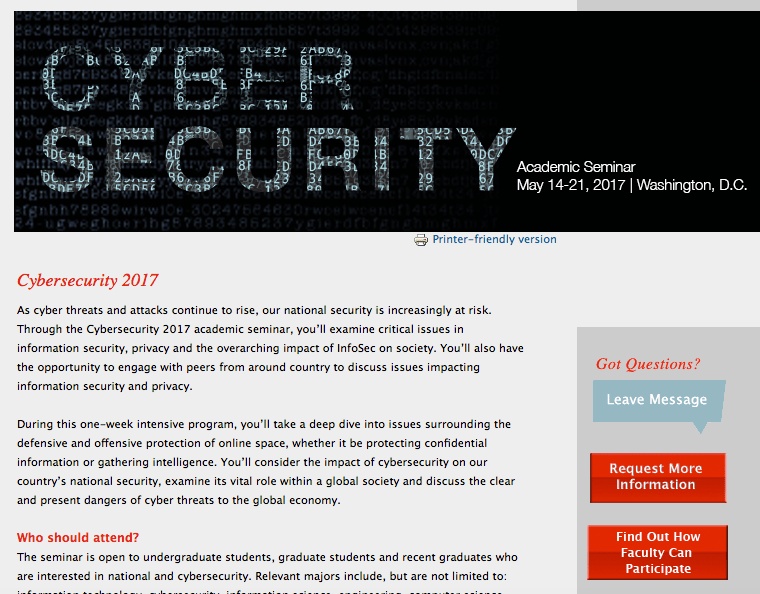 To apply, click on the logo to the left. 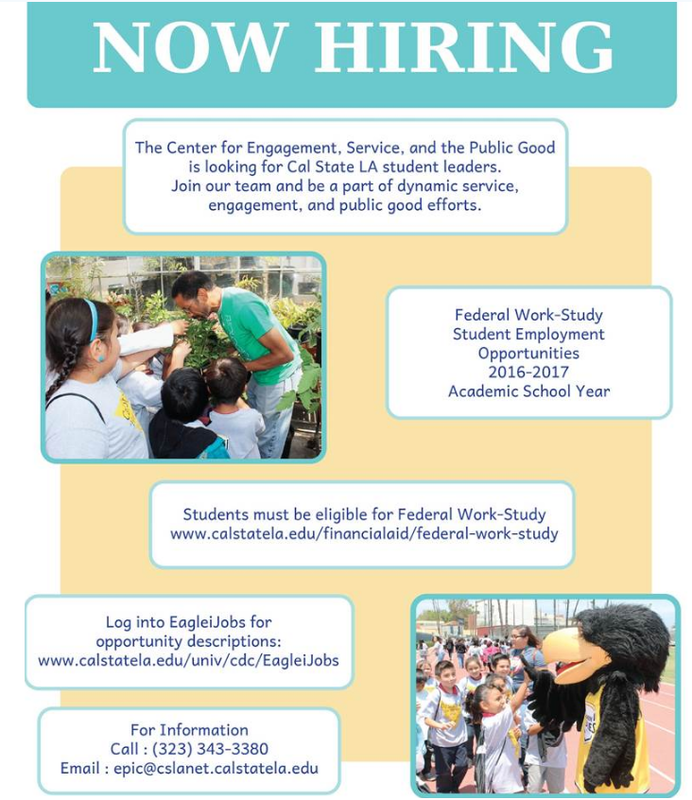 For any questions, contact Kortney Hernandez at khern139@calstatela.edu or call ﻿323-343-5822﻿. A gateway to graduate education at CIC universities. 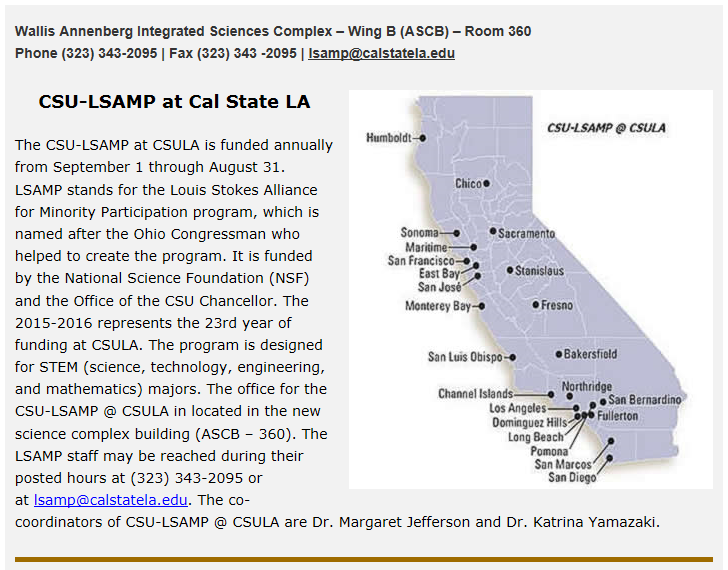 The goal of the program is to increase the number of underrepresented students who pursue graduate study and research careers. 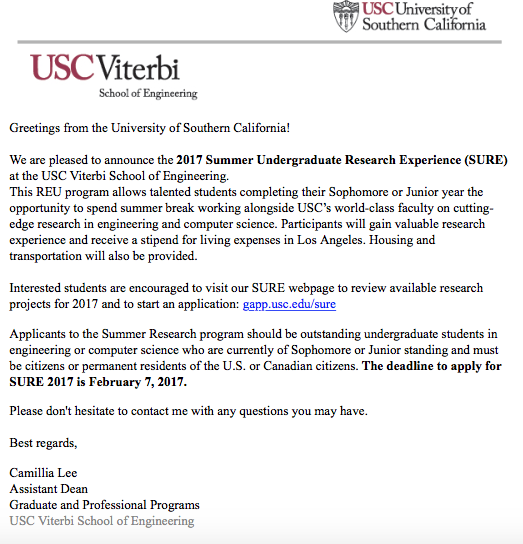 SROP helps prepare undergraduates for graduate study through intensive research experiences with faculty mentors and enrichment activities.